“A-nation” is one of the huge summer festivals in Japan. Since 2002, the event has been visited by more than 5,5 million spectators. Two-day show is being held on Ajinomoto Stadium in Tokyo this year, the venue of capacity 57 000 people. Just two days ago, “a-nation stadium fes. powered by dTV” has announced the first line-up of artists. It was unveiled, that BIGBANG will be a headliner for the first day of the festival on August 27. Besides, their juniors iKON will perform the same day. It will be their first appearance at festival. Not only iKON is a newcomer group at the venue, also DAIGO and sextet ET-KING will perform for the first time. Sonar Pocket is attending the show. One of the most attention-attracting artists is Miura Daichi. The artists' line-up is worth-looking, so audience expects to see a perfect dance performance. Next day, August 28, Ayumi Hamasaki, one of the most heavyweights, will headline the event. It will be her 13th appearance as a lead artist. AAA, since its debut, has been performing on the festival. 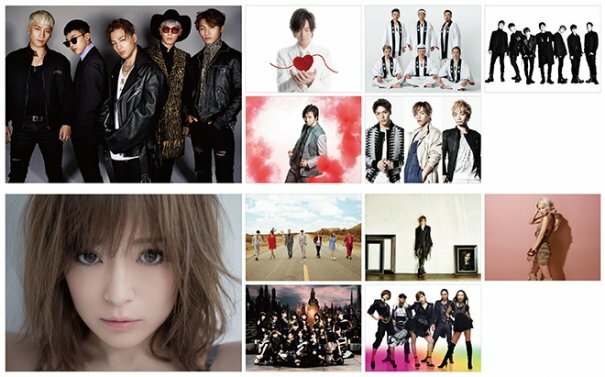 Acid Black Cherry will make its 5th appearance, Kumi Koda will attend "a-nation" 14th time. Also SKE48, being absent for 5 years, will up on the stage again. TRF will perform its consecutive 15th year, proving its perfect attendance. The tickets have already gone on sale (June, 3rd – June, 8th) and can be bought via official web-site. Check out the link. You can also follow official a-nation's instagram page.